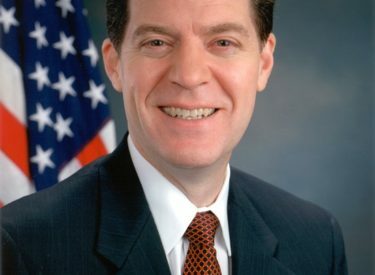 Kansas Governor Sam Brownback issued today a State of Disaster Emergency and drought warnings and watches related to the extreme dry weather conditions in Southwest and Western Kansas. “While rainfall has been adequate for some parts of our state, there are many counties, especially in southwest Kansas, experiencing drought conditions and a high risk of fire hazards,” Governor Brownback said. The disaster declaration is for Stevens and Haskell Counties who were affected by a grassfire on Sunday. The fire burned approximately 9,600 acres and damaged public infrastructure in both counties, including four bridges. “Grass fires have been a threat faced by Kansans since the first pioneers ventured across the prairies. Just as those pioneers rebounded and moved forward, I have confidence that the Kansans affected by these fires will rebound as well,” Brownback said. The cause of the fire is unknown but it was not the result of a controlled burn. Eleven fire departments from Haskell, Stevens and surrounding counties, as well as two from Oklahoma, responded to the Stevens and Haskell County fire. The Stevens County Fire Department lost a truck in the blaze. Preliminary Damage Assessments are being conducted to determine the full extent of damages. The Governor’s drought warning declaration includes 20 counties and also puts 27 surrounding counties under a drought watch. Drought indicators show precipitation in western Kansas has been significantly below normal for the year, which has considerably increased the risk of fire in those counties. “Low rainfall has led to depleted soil moisture, which not only hurts agriculture, but also greatly increases the likelihood of grass fires. These declarations will help counties defray some of the burdens incurred from the parched conditions and from battling the fires last weekend,” Brownback said. The Governor’s Drought Response Team recommended this action in accordance with K.S.A. 74-2608. The Governor’s drought orders authorize and direct all agencies under his jurisdiction to implement the appropriate watch or warning level-drought response actions assigned in the Operations Plan of the Governor’s Drought Response Team.